I can’t believe that it is already November 22nd. I thought that October flew by, but November is giving it a good competition. With the leaves changing and falling from the trees, I’ve began to miss the green of the summer. Lucky for me, I received my Yours Clothing order in the mail late last week, and I decided to put my new purchase to use. 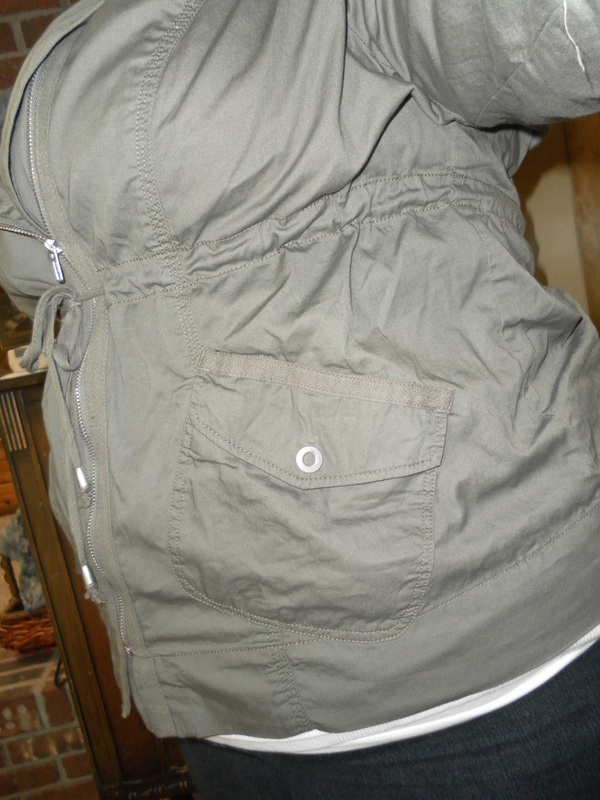 I had ordered this jacket from Yours Clothing via a company called Size Up. While I’m really happy with the overall style of the jacket. I’m so, so, so disappointed with the quality of the product. Maybe this quality issue is because I ordered it from a different site? I’m not sure, but nonetheless, I’ve still be wearing it like crazy lately. Here’s me wearing it on the way to see Harry Potter: The Deathly Hallows Part 1 on Friday. 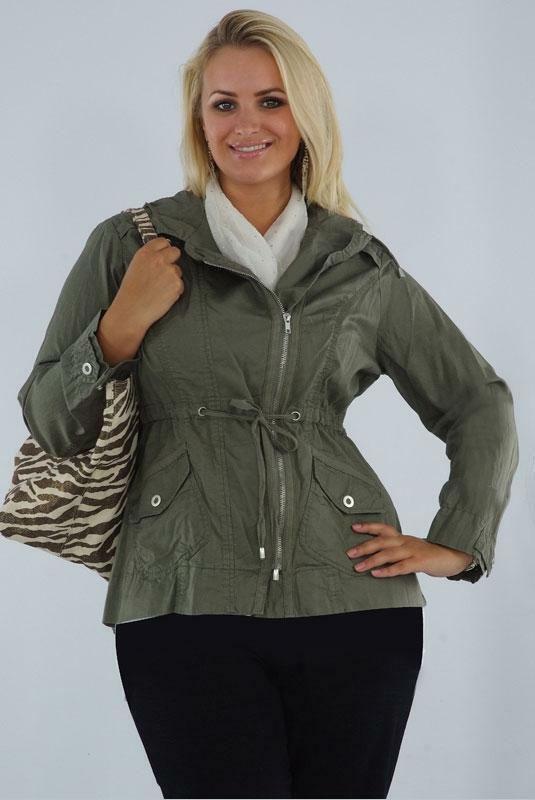 It’s such a great choice to throw on when it’s not too cold out, but you know you will be in an overly airconditioned building for the next couple of hours. 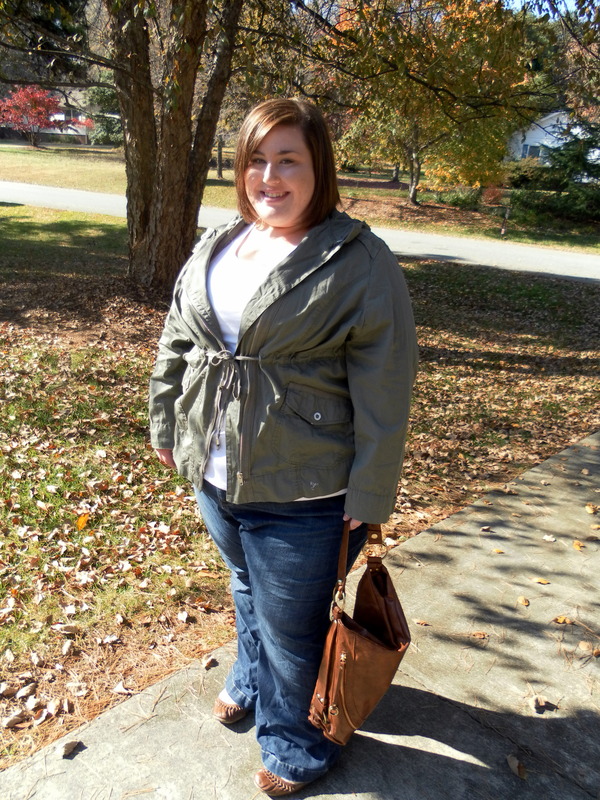 I paired it with jeans from Old Navy plus-size line, purse from ASOS, and flats from Old Navy. 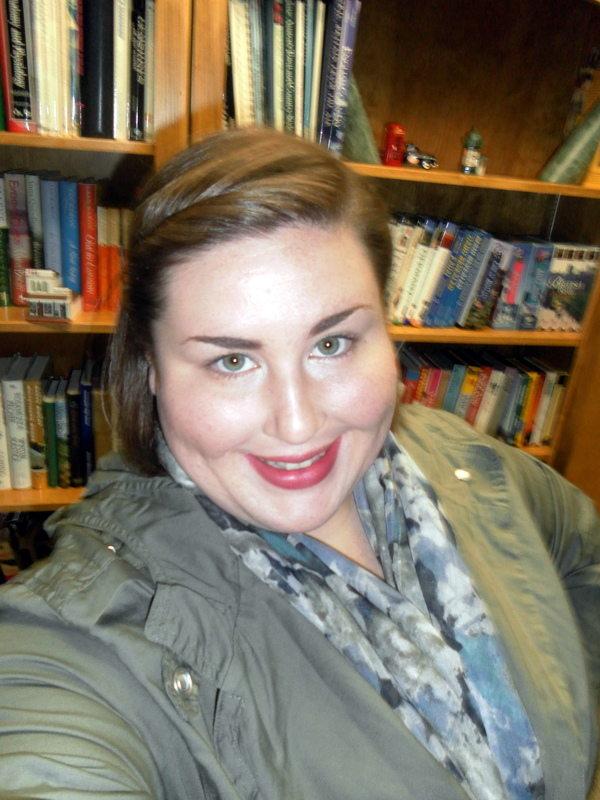 I look kind of crazy in this picture, but that’s what happens when you take them yourself! I paired it with a beautiful scarf from Ann Taylor LOFT for today since I was going to be on campus. 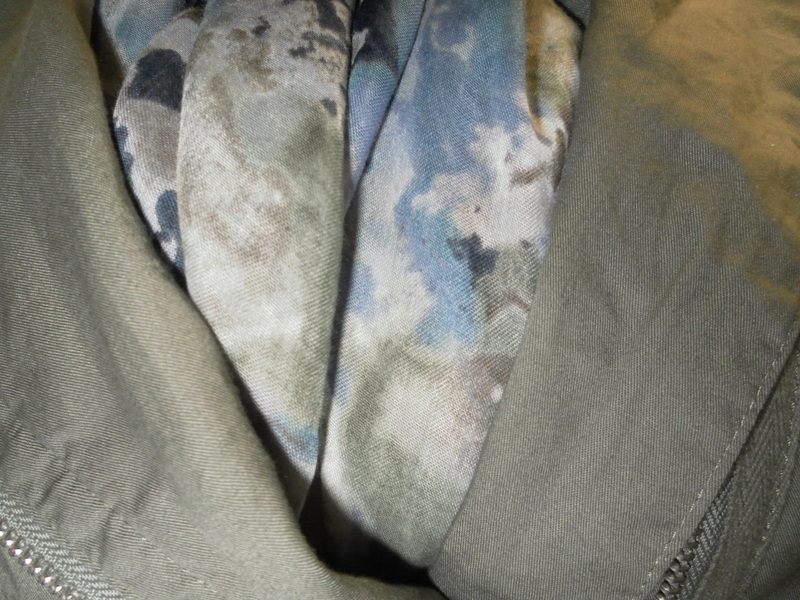 The scarf brings out the lovely deep olive of this jacket, and mixes in pretty blues and grays. 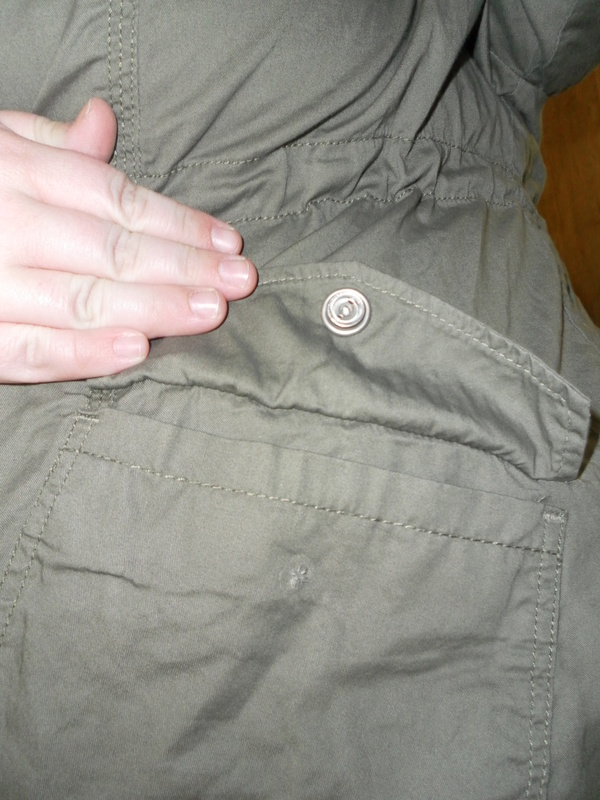 The poor quality in the jacket is really only seen in the buttons. Some of the buttons were missing when it arrived, and some have since dislocated from their position. You can see here where the anchor has detached from the pocket. There are also buttons missing on both sleeves, but I really didn’t feel like hassling with sending the items back over to the UK, so I will live with the missing buttons. 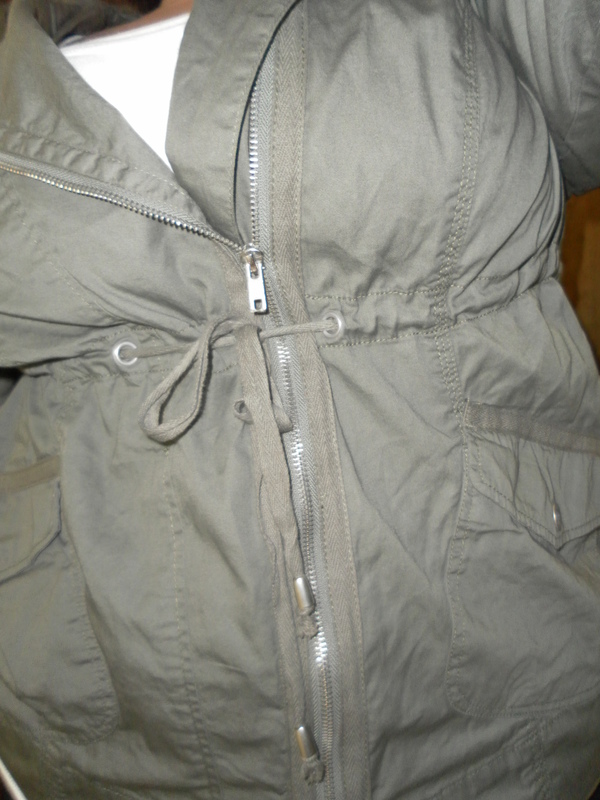 I really love the drawstring detail of the jacket, and I like to wear it unzipped with just the drawstring cinching it in. I also put on my new bangles from Target. 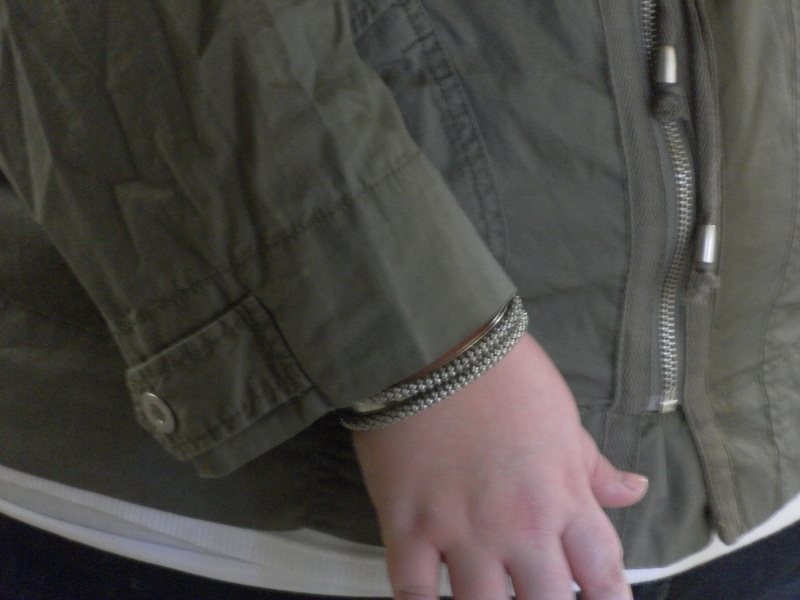 I like the silver/olive green combo. Are you missing the summer like I am? I love the fall, but I feel winter approaching way too quickly!